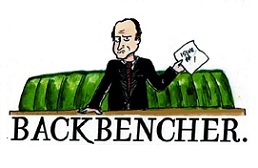 Welcome to The Backbencher’s live-blog from the House of Commons debate of Douglas Carswell’s Private Member’s bill for the repeal of the European Communities Act 1972, whose effect, if passed, would be to bring about the UK’s withdrawal from the EU. The subject of Carswell’s bill was chosen in a poll of thousands of readers on the Guido Fawkes website, and means that the House – at last – gets to debate whether the UK should leave the EU. And here we go with The Backbencher’s House of Commons EU Debate live-blog. For shorter updates, follow either @A_Liberty_Rebel or @Backbencher on Twitter, where we’ll be using the #EUDebate hashtag. The possibility of the Commons passing a bill to, in effect, withdraw the UK from the EU has worried the Government and CCHQ to such an extent that they’ve circulated all MPs with a list of “helpful” questions to ask during the debate. “Helpful”, that is, only to the Government’s desire to avoid the issue at all costs. Backbencher contributing author Michael St George speculated earlier on what the correct answers to those “helpful” questions might be, as opposed to the likely answers. It’ll be instructive to see how they compare. Edward Leigh stresses that no-one can deny that, whatever one’s view on the UK’s membership of the EU, the EU suffers from a serious democratic deficit. Its core members look as thought they’re moving determinedly towards closer economic and monetary union, and this will have a dramatic effect on our relationship with it. There must therefore be a referendum. Leigh: it’s perfectly possible for the UK to devise a relationship with the EU whereby we retain the trading benefits, but re-acquire the exclusive right to make our own laws. This is the most pressing issue of our time, and the Government can no longer avoid it. Philip Holobone: no-one under the age of 55 in this country has ever been given the opportunity to vote on Britain’s membership of the EU: and what they voted on was a common market, not the EU as it has developed and now is. What is now just around the corner is undoubtedly a United States of Europe, and the majority of my constituents do not want what we have now, never mind a USE. FCO Minister David Lidington’s assertion that “lion’s share of our trade will continue to come from Europe” looks increasingly untrue. Not only is the EU’s share of global GDP and trade set to continue falling – down to 16% according to some estimates – but it forms a declining proportion of the UK’s overseas trade, a trend which looks set to continue as our trade with non-EU and emerging markets accelarates. Even the share of UK trade attributed to the EU is regularly over-stated in official statistics: via, firstly, the Antwerp/Rotterdam effect, by which the value of goods exported to non-EU markets but transiting through those ports is counted as EU trade, and the Netherlands Distortion, which reflects internal accounting transactions undertaken by firms with either subsidiaries or holding companies in Holland for tax purposes. The resumption of debate on 1st March 2013 will need updated true figures for our EU trade.